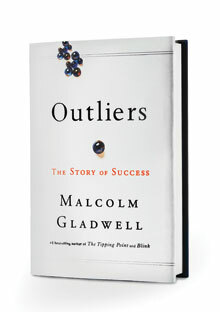 Outliers, non-fiction, published in 2008, with great insight on how we as humans learn and become successful. It’s not about how to gain success, but explores how much success is about timing, and who you know. It has a timeless relevance because of how it lays out its idea as it debunks popular cliche’s and theories and focuses on how success really happens. It is a cohesive book even though each chapter is very different from the last, as it doesn’t flow like one might be used to when reading a book. Which is why this book is such an interesting read, as it jumps around and then travels back to points it was making earlier in the text. It looks deeply at the causes and effects of how one is raised, and what the parents did to encourage the success with basically one decisive parental decision. As it also looks at others with similar backgrounds but didn’t have the same success or any success at all. Finally, this book get’s my vote for a tenacious and fascinating read about the complexities of the human experience and just how subjective success really is!!! I’ve meant to take a look. He’s had some critics who’ve challenged his expertise and assertions – like the 10,000-hrs rule, which I read made him recant or go back and soften some points. I have major writer’s blockADE. Time in my way. Won’t let me write. So so sad.